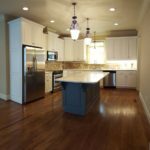 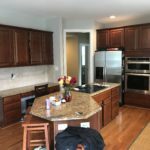 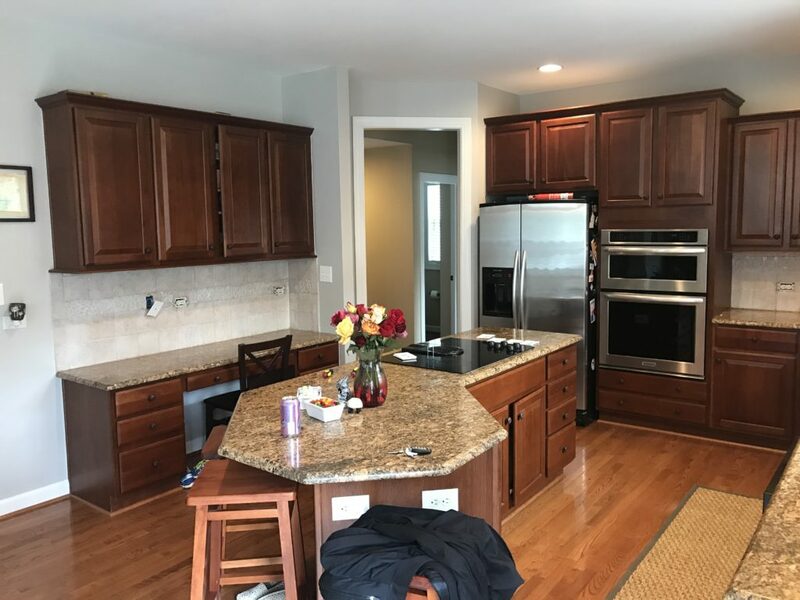 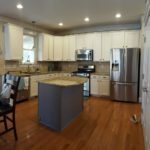 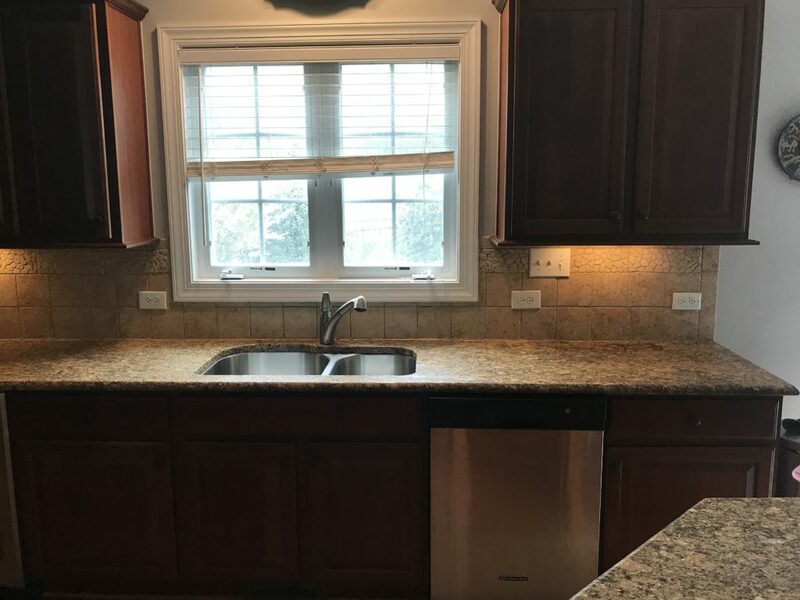 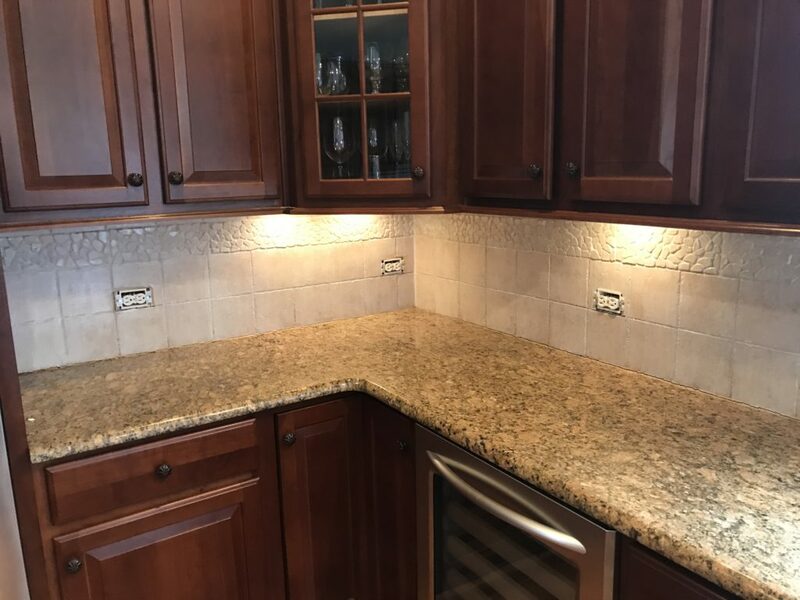 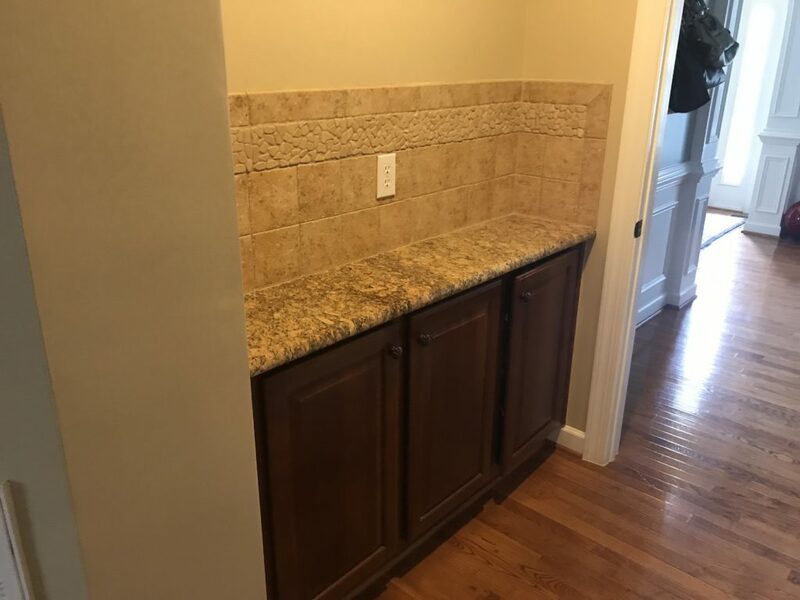 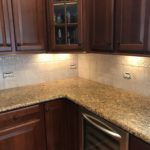 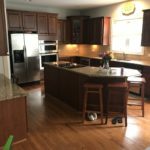 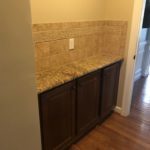 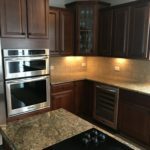 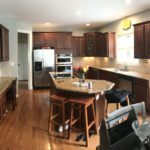 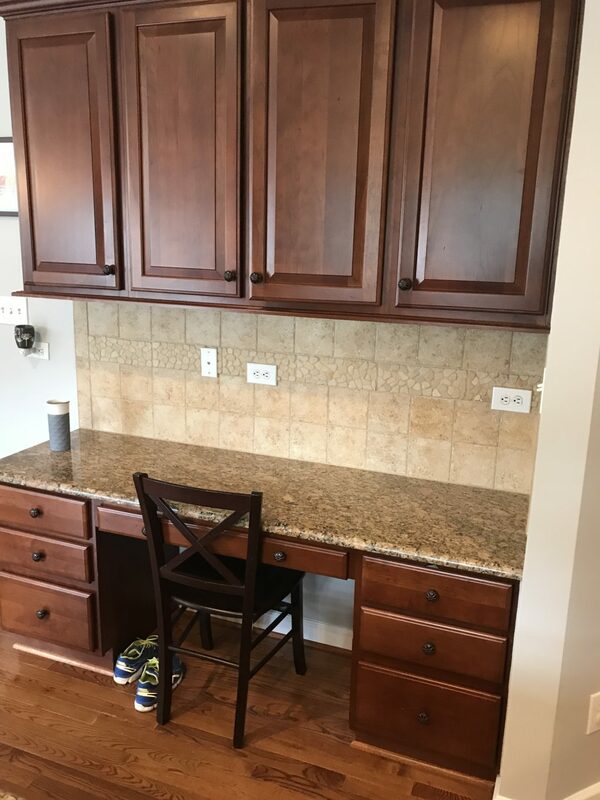 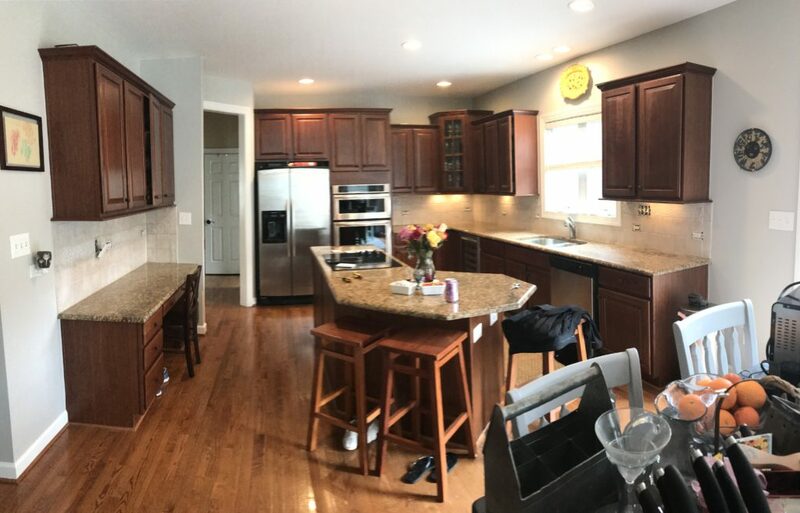 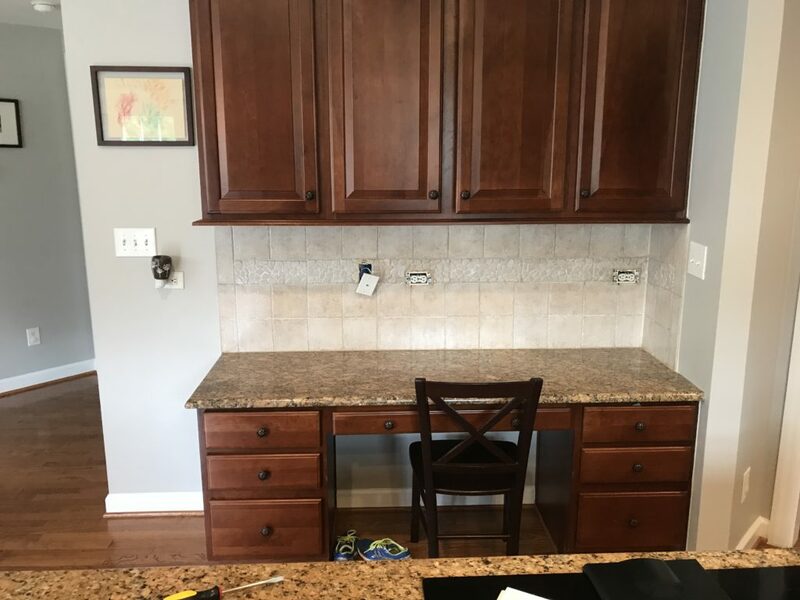 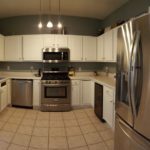 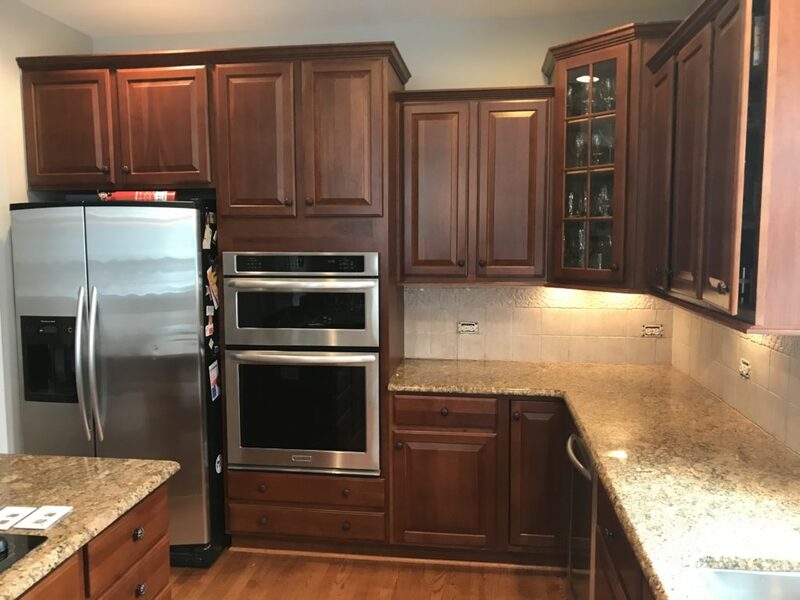 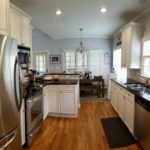 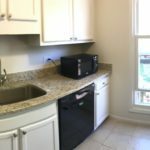 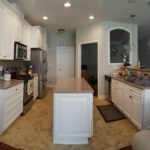 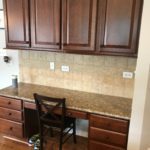 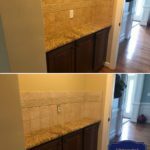 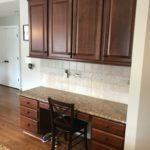 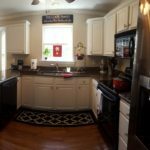 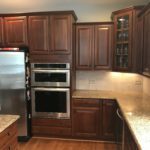 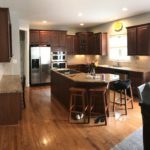 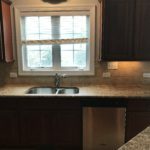 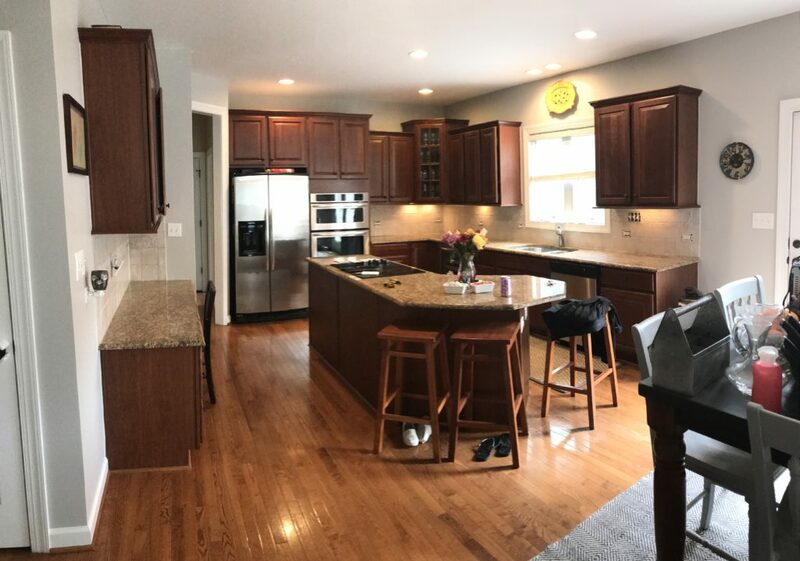 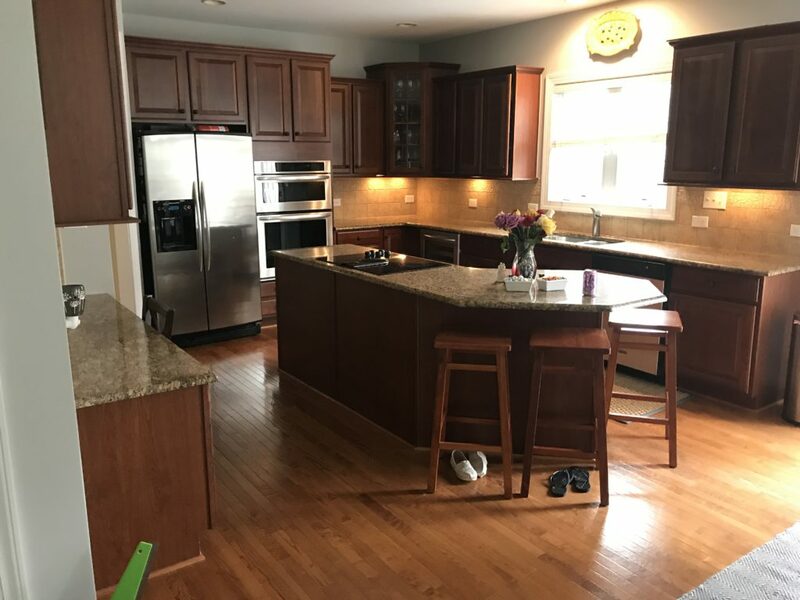 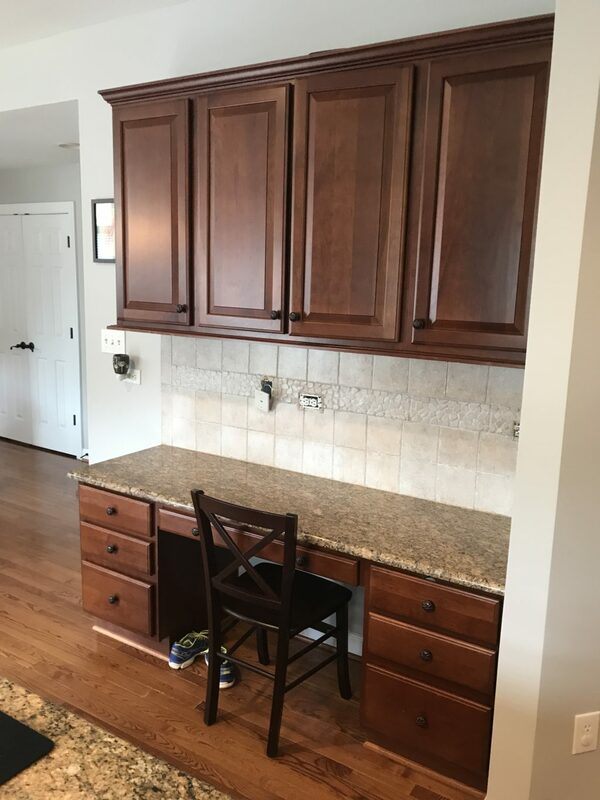 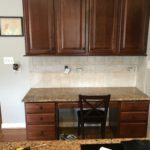 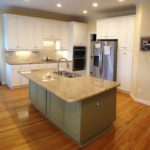 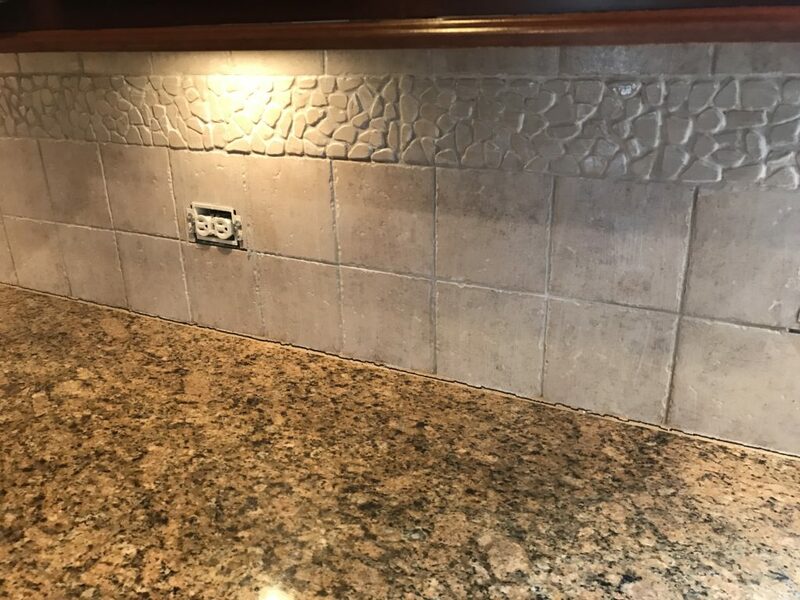 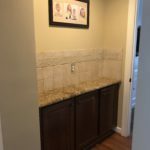 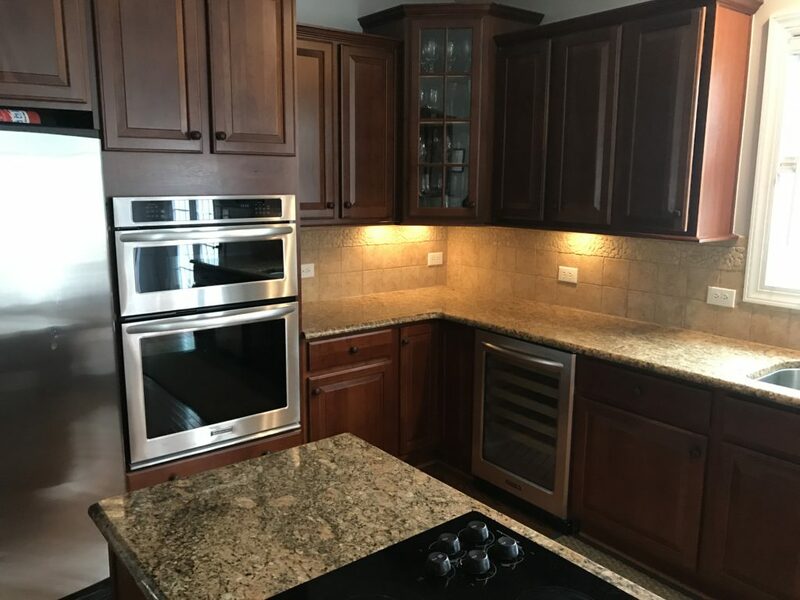 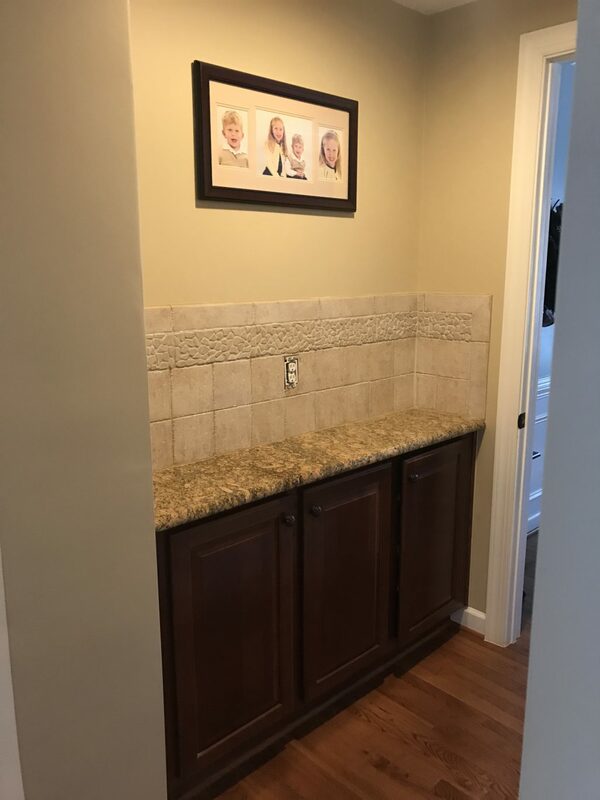 For this kitchen, our homeowner was still happy with her cherry cabinets, it was the backsplash that she no longer loved. 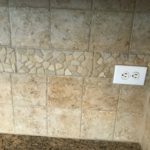 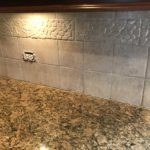 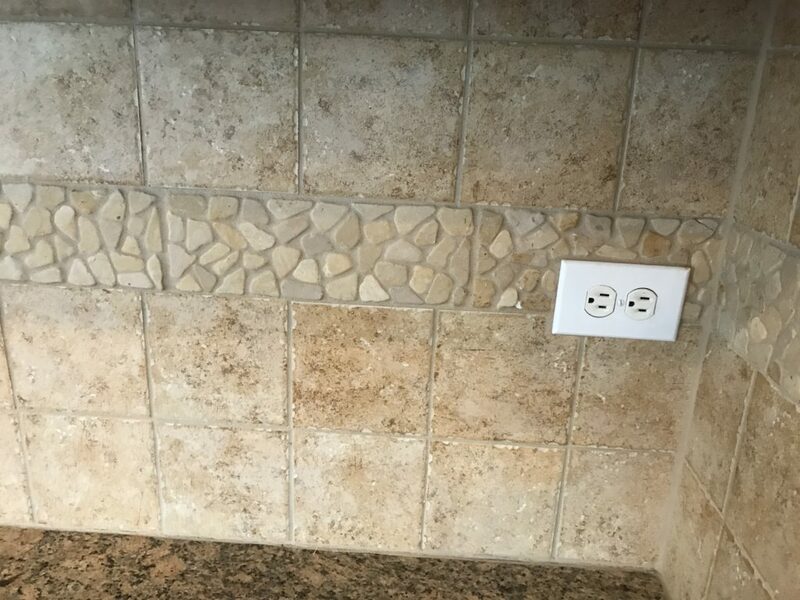 And since she has gorgeous stone travertine tile it’s the perfect choice for whitewashing. 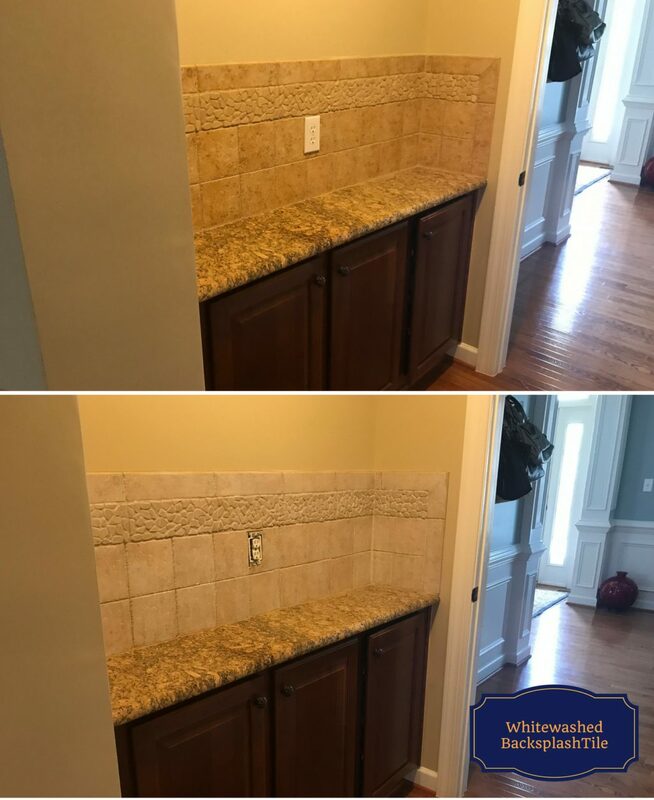 Whitewashing is a simple (and quick) fix for neutralizing some of the orangey tones that a lot of travertine has.